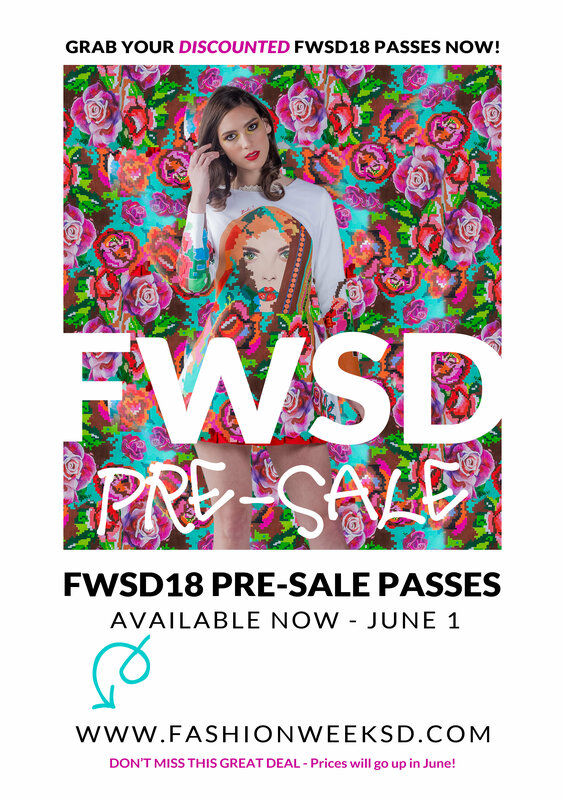 May Flowers bring discounted FWSD18 pre-sale passes! MAY-be we’ll see you for an event soon? It’s time to get FAB! NEXT THURSDAY – Join us for our 2nd FAB Authority Workshop of the year, “Becoming a Creative Entrepreneur” featuring Artist & Designer, Clarione. 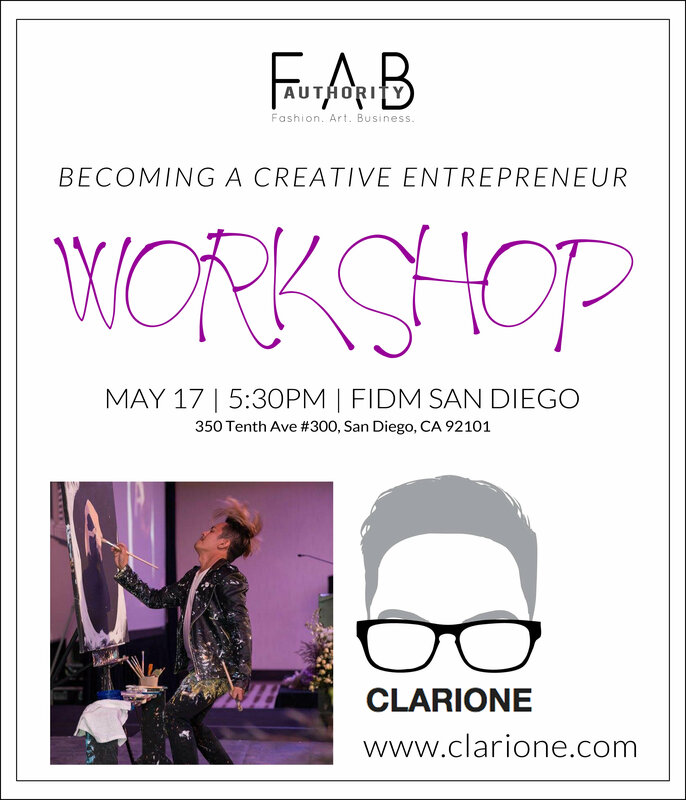 WHAT: FAB Authority® Workshop featuring Clarione. Calling ALL Female & Male Models! 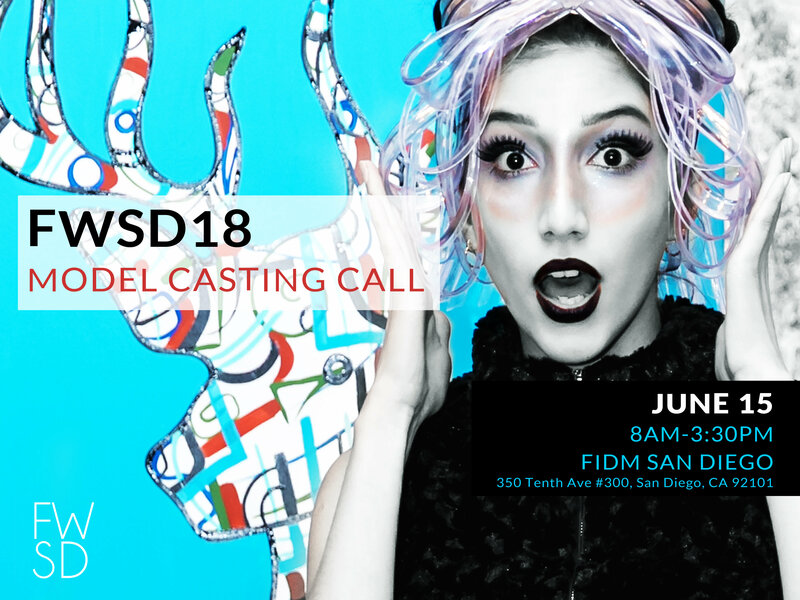 Whether you’ve modeled with FWSD before or are new to the scene, we would love to see you take center stage in October for Fashion Week San Diego’s big runway shows! WHAT TO WEAR: Female: heels and form fitting clothing. Males: form fitting clothing. **Note: This is the ONLY casting call this year! If you’re ready to rock the runway, please save the date! Additional info here! 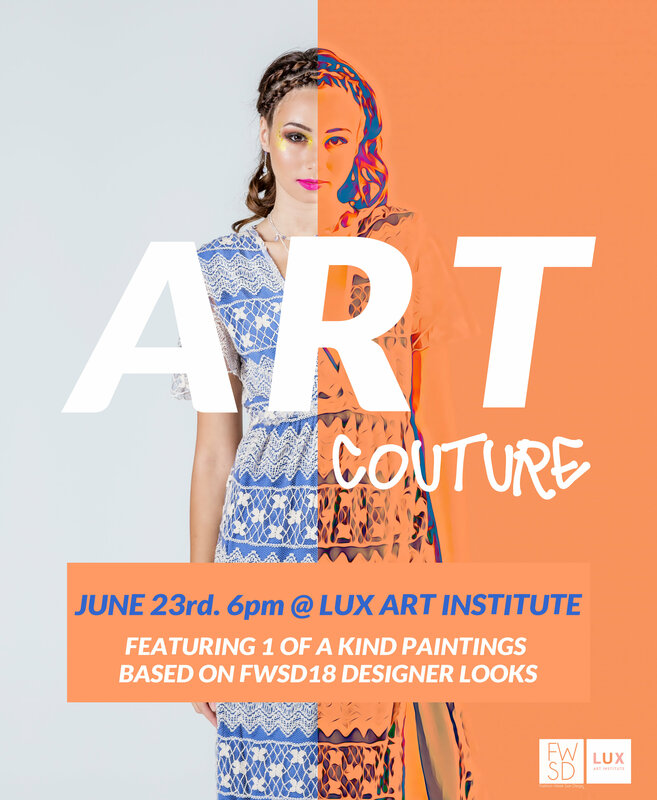 DETAILS: FWSD has partnered with Lux Art Institute to be part of their Creative Nights, where select artists will be partnered with FWSD18 Designers to create fashionable works of art. Five artists will be selected to exhibit during our ART COUTURE event on June 23rd and given the opportunity to submit an art piece for competition. 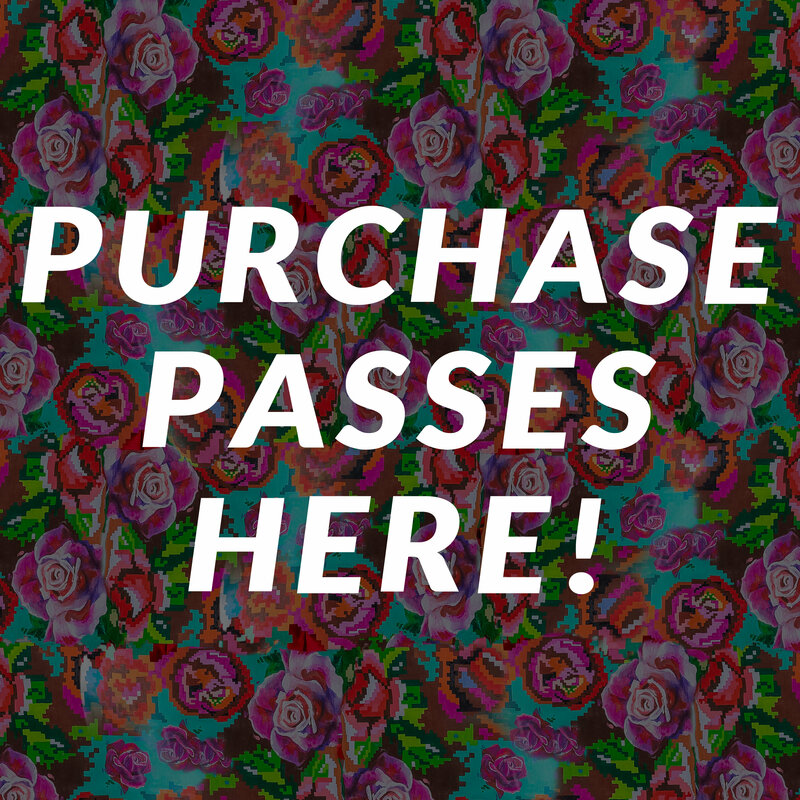 Winner will be featured at the FWSD18 Runway Shows! Additional info here!